Home > Investing Mantra's - Warren Buffett > While Warren Buffett Killed the Dow Jones, This Obscure Investor Killed Buffett.! While Warren Buffett Killed the Dow Jones, This Obscure Investor Killed Buffett.! And it's true. Mr. Buffett's best years, in terms of percentage returns, were is initial years. What exactly were the numbers? Well, Mr. Buffett formed the Mr. Buffett Partnership in 1957, which was his investment vehicle to manage his and others' money. He shut the partnership in 1969. Over this thirteen-year period, Mr. Buffett's partnership earned a compounded annual return of 29.5% and a cumulative return of 2,795%. This compares to benchmark returns from the Dow Jones Industrial Average of 7.4% annually and 153% cumulatively over the same period. As Mr. Buffett said, he killed the Dow Jones Industrial Average. But there's another value investor who surpassed even Mr. Buffett's record around that time. And that too, over a longer period than the Mr. Buffett Partnership. His name was Mr. Rick Guerin, and the name of his investment vehicle - Pacific Partners. Rick, in the nineteen years from 1965 to 1983, against a cumulative gain of 316% for the benchmark S&P 500, came off with 22,200%. Compounded on an annual basis, this comes to 32.9% versus 7.8% for the benchmark S&P. Rick was a pal of Mr. Charlie Munger and fortunately lacked a business school education. In other words, he hadn't had the 'efficient market hypothesis' shoved down his throat. He was instead a math major at USC and then went to work as a salesman for IBM for a while. Soon after Mr. Buffett met Mr. Charlie, Charlie got to Rick. Sadly, not much is known about Mr. Rick and the specific style of value investing he used to achieve his mind-boggling results. To our dismay, his exact methods remain shrouded in mystery. Back home in India, we too have many not-so-well-known investors and fund managers who have been racking up phenomenal returns for their investors. Most of their methods too remain under wraps. Just who are these Superinvestors of India? How are they picking stocks? Which stocks are they picking? Just how successful are they? And how did they get that way? 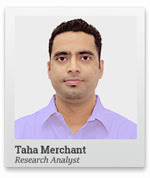 Luckily for us, my colleagues Mr. Rohan and Mr. Kunal have spent months working on their 'superinvestor project'. They've travelled much of India to meet with and pick the brains of these relatively unknown superinvestors. And now they've published their conversations - along with their own detailed notes and takeaways from these rare interviews - in an exclusive ebook. 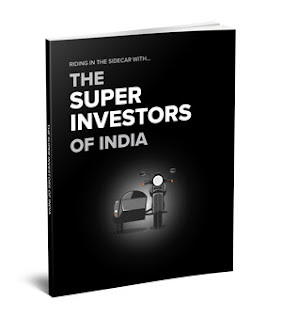 Download your free copy of The Super Investors Of India today.